OSD Products - To see a complete list of our products view the products page. VCOM2 - Leading OSD module providing the most advanced features available for the most demanding OSD applications. VCOM2LT - Powerful and popular, offering the basic interface and display features required in mainstream OSD applications. VCOM2SO - Miniature module with limited features. It is designed for covert and other applications where size is an issue. Technical Details - The guide on our "technical features" page lists the details of each of the 3 OSD modules. open this page to view a complete technical specification for our 3 main OSD modules. Product Guides - The guide on our "technical features" page lists the details of each of the 3 OSD modules. open this page to view a complete technical specification for our 3 main OSD modules. OSD products from LS Electronics Group Ltd provide a completely customisable selection of features and applications from simple text to GPS data and crosshairs. Video Distribution Amplifier - This is a compact, 6-channel video distribution amplifier module. It is made up of a miniature SIL design which although small does not hinder the excellent video performance that this module can achieve. It is also capable of driving 75 ohm video loads directly and requires only a single +12V supply. Video Data Encoding & Decoding Systems - These systems are designed to encode and decode digital data within a composite PAL or NTSC video signal. They use the same basic principles employed by the Teletext data encoding and decoding systems in domestic broadcast systems. Video Signal Detection & Generation - This technology provides the facility to detect video signal input and drop-out which allows for video signal and alarm generation. This highly functional module can provide an uninterrupted video signal that supports a constant flow of on-screen information. Place your order with us today - fill out our simple to use form on this page. Welcome to our range of market leading on-screen display (OSD) products for adding text and graphics to composite video signals. The technology is implemented in inspection, monitoring, surveillance and messaging systems throughout the world. 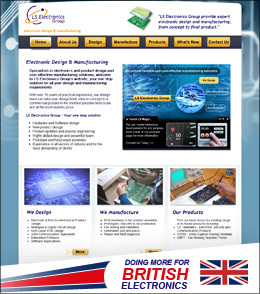 LS Electronics Group Ltd provide cost-effective OSD products which are reliable and flexible. 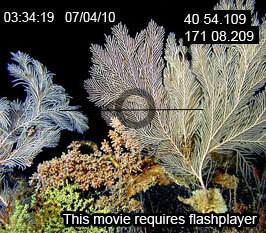 Our high quality video overlay solutions range from a basic time and date stamp, through serial controlled text generators and GPS data insertion, to complex client specific systems. "Used the world over in areas such as data display for inspection and monitoring equipment, security surveillance systems, messaging systems, and GPS data display." "On-Screen Display products offer a complete solution for displaying data and information in conjunction with a video image." Many of our competitors build their OSD products using dedicated OSD chips. These chips are becoming increasingly obsolete so we have developed an advanced alternative to keep up with the rising standards of technology. The use of this new alternative means that a long term uninterrupted supply of the product can be guaranteed. In addition to their guaranteed supply and superior quality, our OSD products are not subject to the limitations of OSD chips, meaning almost anything can be superimposed onto video using the company's bespoke customisation service. From standard units to complex systems the technology can incorporate such things as data, logos, crosshairs, dials and other dynamic moving objects. These functions are then all controllable via a host of interface options. Technical information and specifications for standard units can be found on the Product Guides Page and the Technical Details Page. However, if you do not see exactly what you require please visit the Customisation Page for details on creating a unique solution.